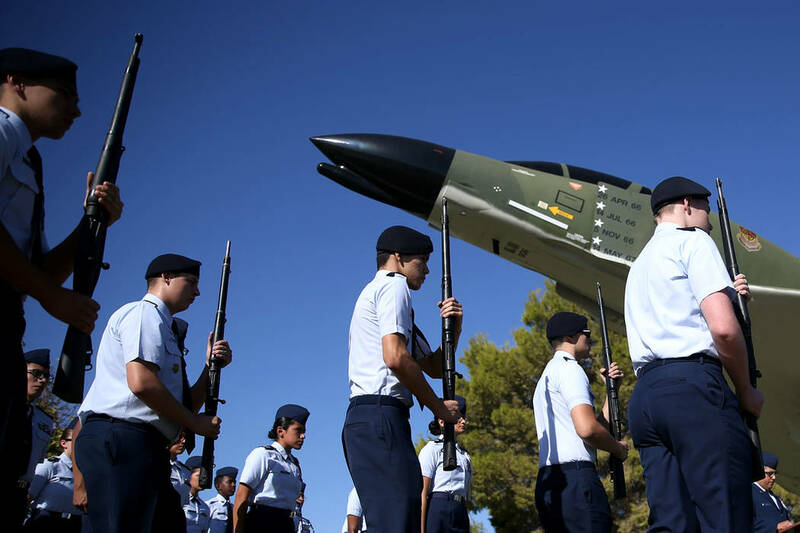 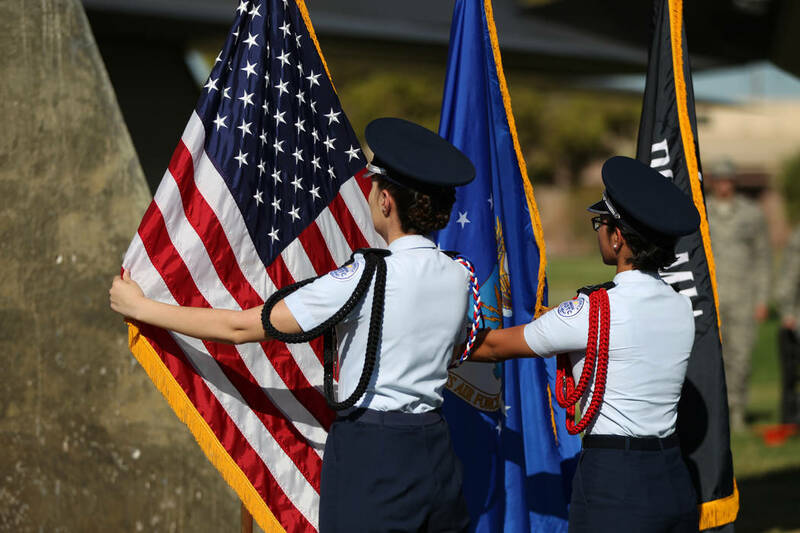 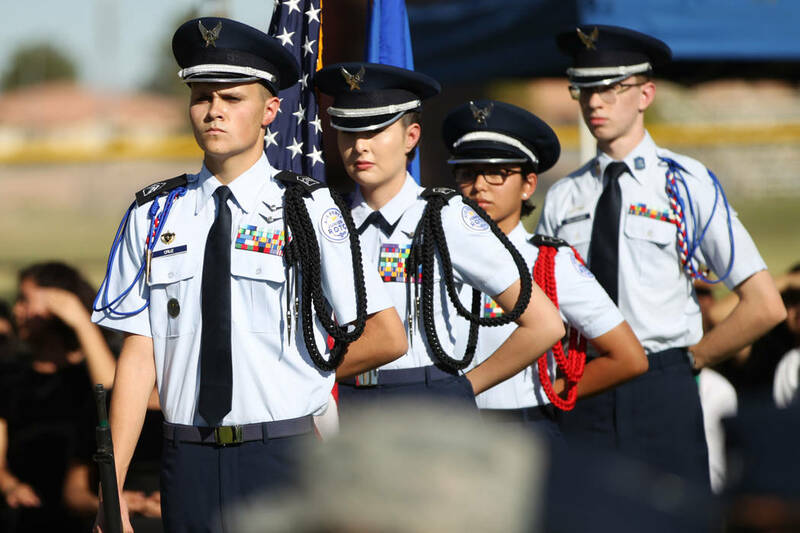 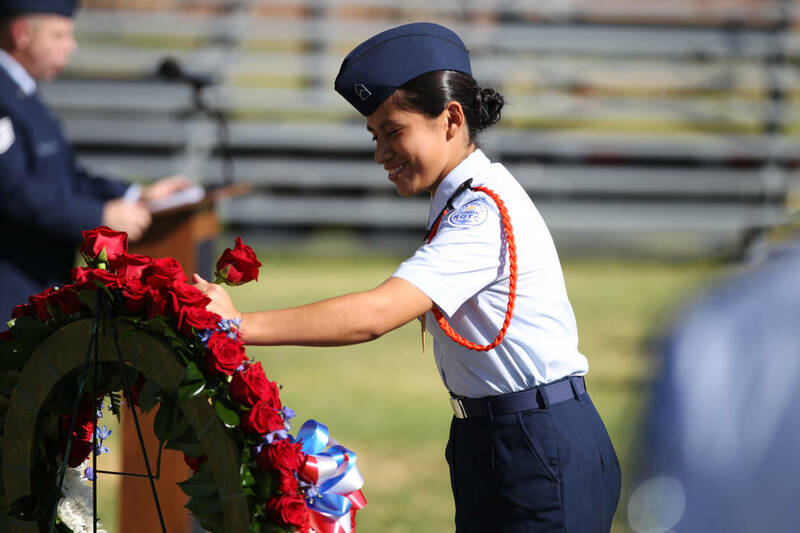 One by one, members of the Rancho High School color guard placed a red rose onto a white and blue wreath on Friday at Nellis Air Force Base — each representing a Nevadan listed as missing in action in U.S. military conflicts. 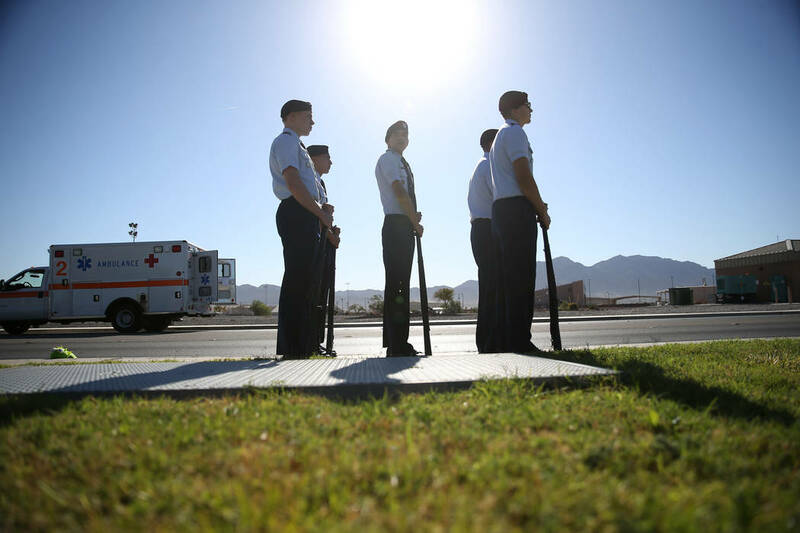 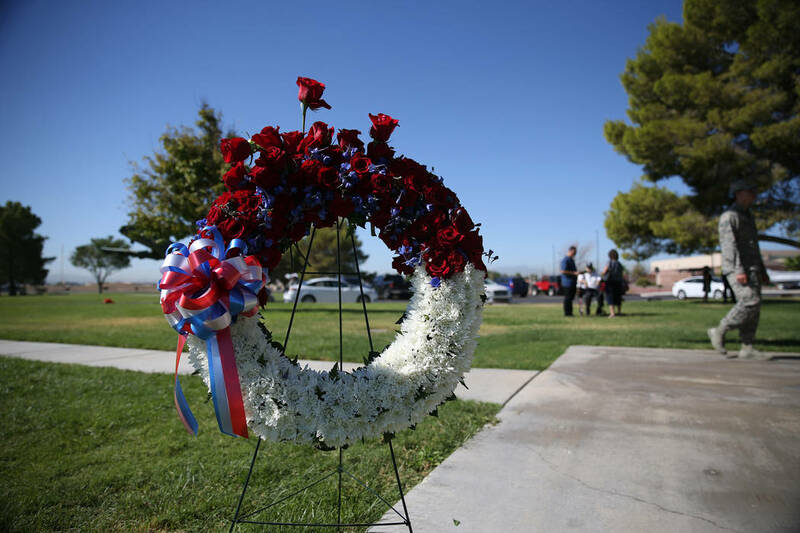 One by one, members of the Rancho High School color guard placed a red rose onto a white and blue wreath at Nellis Air Force Base — each one representing a Nevadan listed as missing in action during recent U.S. military conflicts. 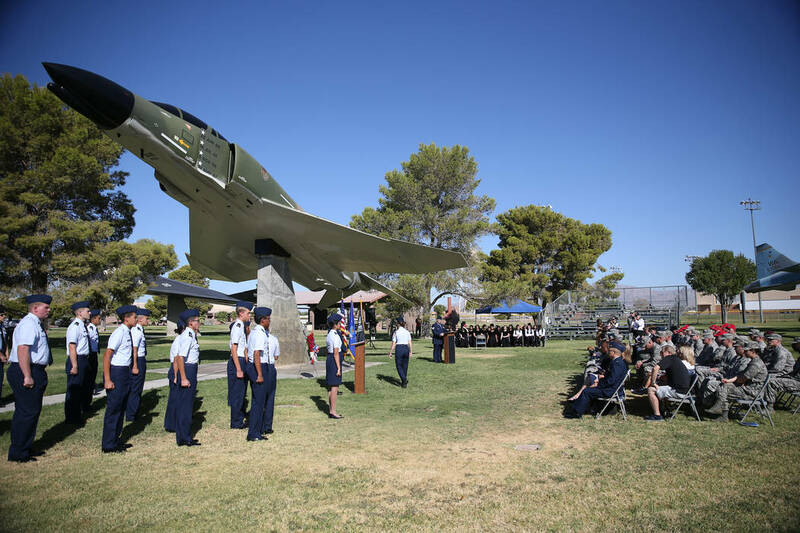 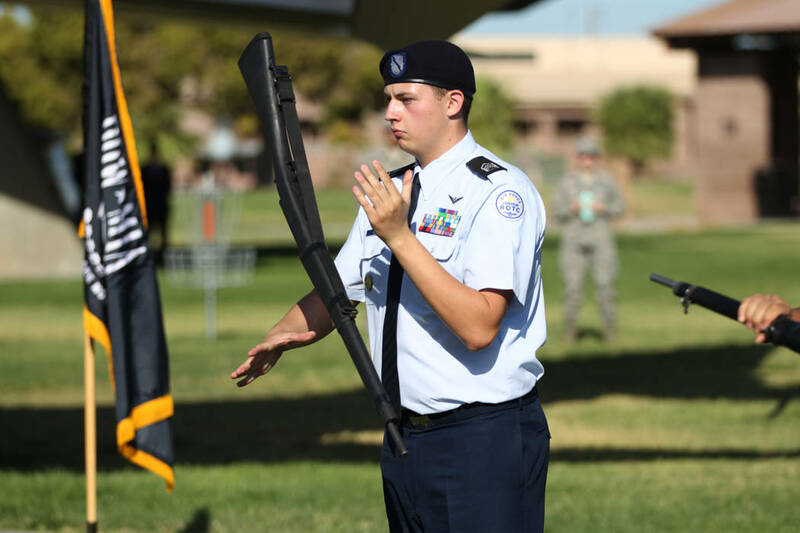 Then Southern Nevada residents who were captured and spent time as prisoners of war, who filled the first two rows of chairs at the National POW-MIA Recognition Day ceremony at the base’s Freedom Park, stood and basked in applause Friday. 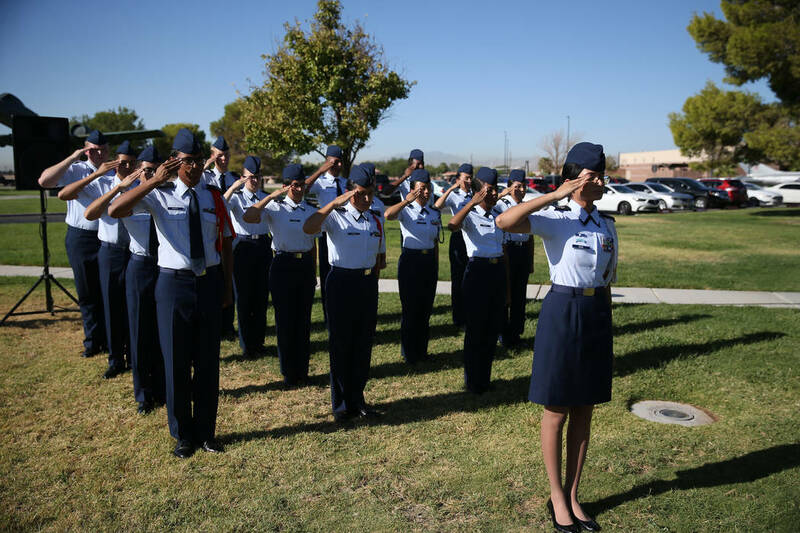 Dean Whitaker, a 93-year-old World War II veteran, stood up before the ceremony began and shared his story with the Rancho High students, who are members of the school’s Reserve Officers’ Training Corps. 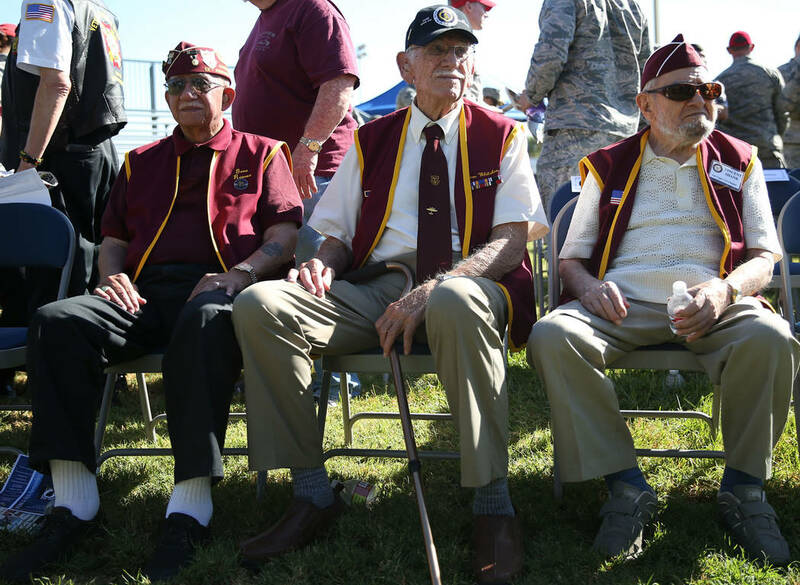 Wearing a maroon American Ex-Prisoners of War 7-11 chapter vest, the former Army second lieutenant recounted how he bailed out of a crippled B-17 bomber, was captured by Nazi soldiers and was held for seven months, surviving on soup made from sawdust. 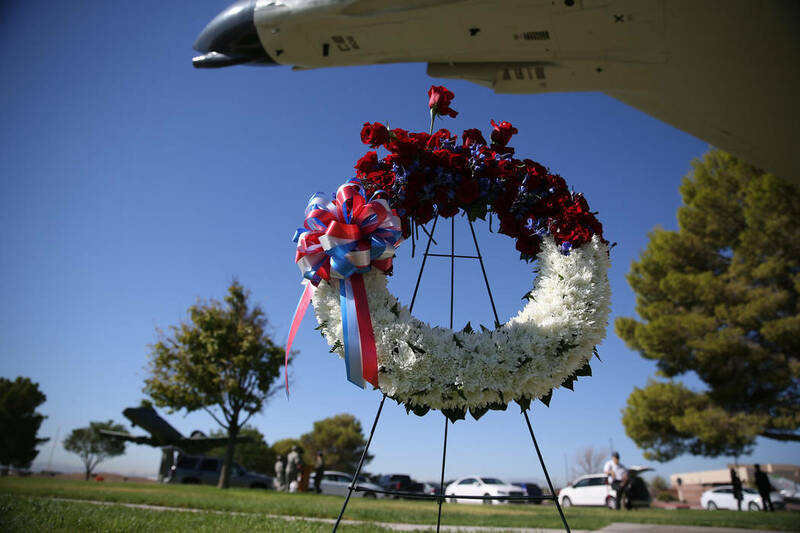 Whitaker said that attending the annual event made him think of his crew, especially members that didn’t make it home, wishing he could share the day with them. 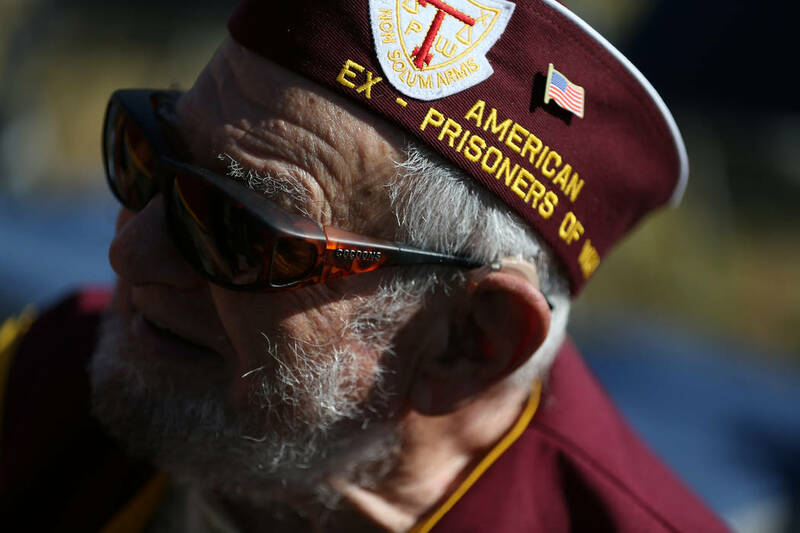 Next to him, fellow World War II veteran Vincent Shank, who spent two years as a prisoner of war and just celebrated his 102nd birthday on Thursday, nodded affirmatively. 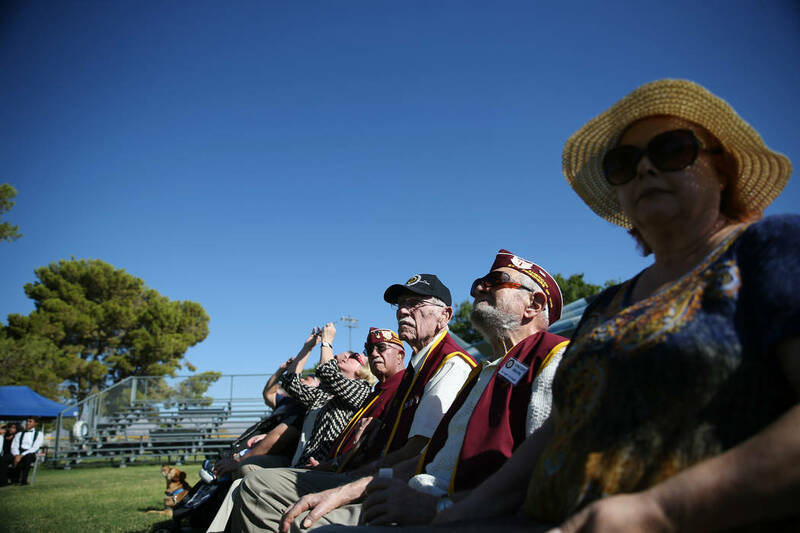 “We’re here to remember,” he said. 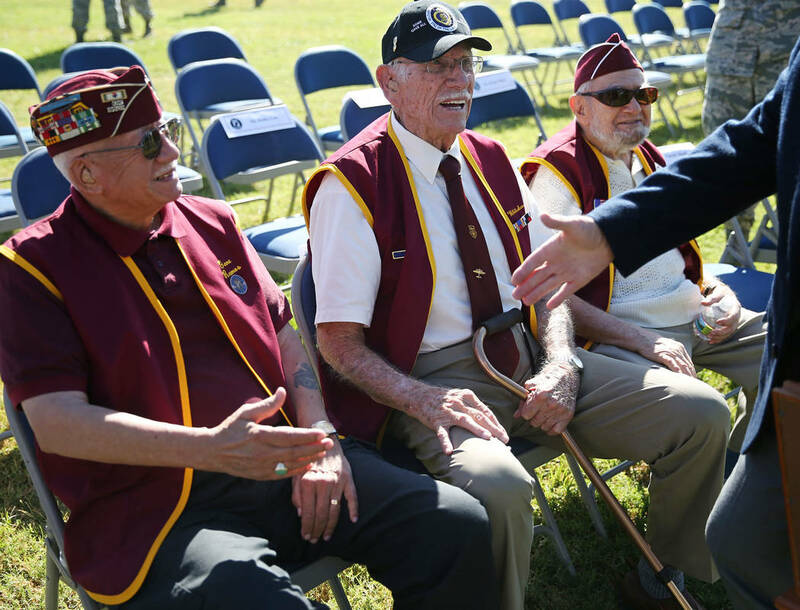 Among the other ex-POWs attending included Korean War veteran Gene Ramos, World War II veteran Marvin Carter and Vietnam War veterans Richard Moyer and James “Padg” Padgett. 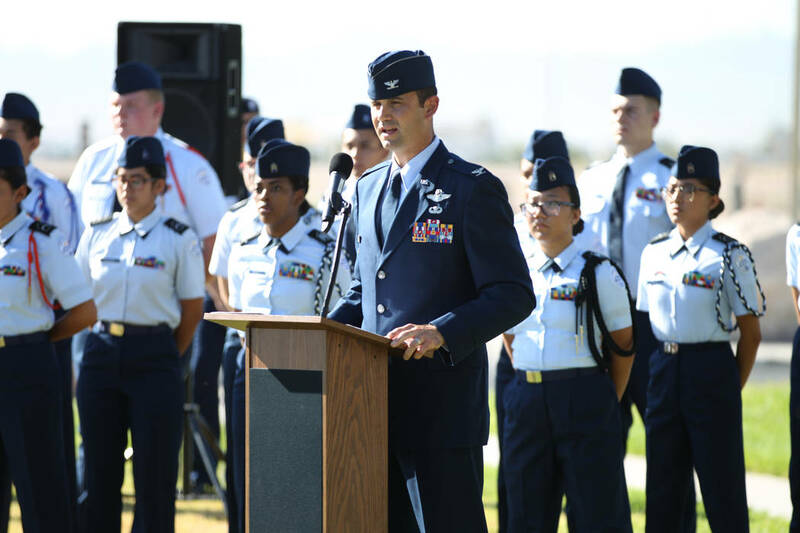 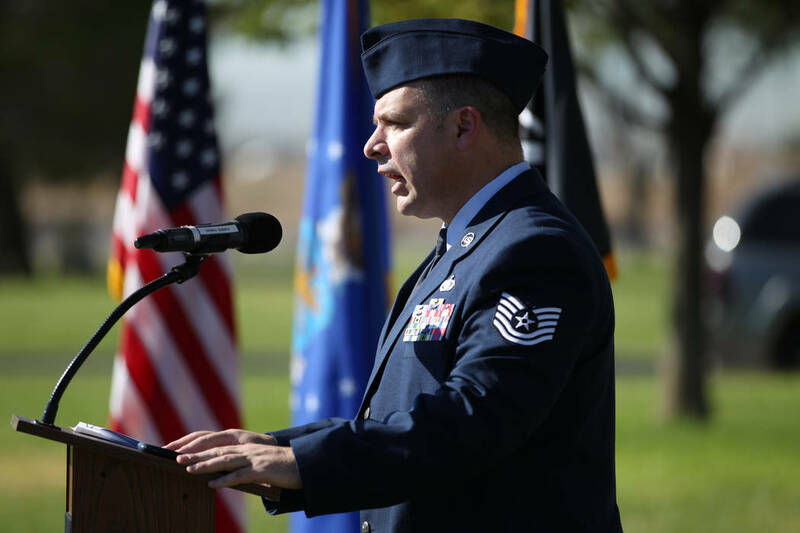 Air Force Col. Ronald Gilbert, vice commander of the 57th Wing at Nellis, praised the men for their bravery and sacrifices. 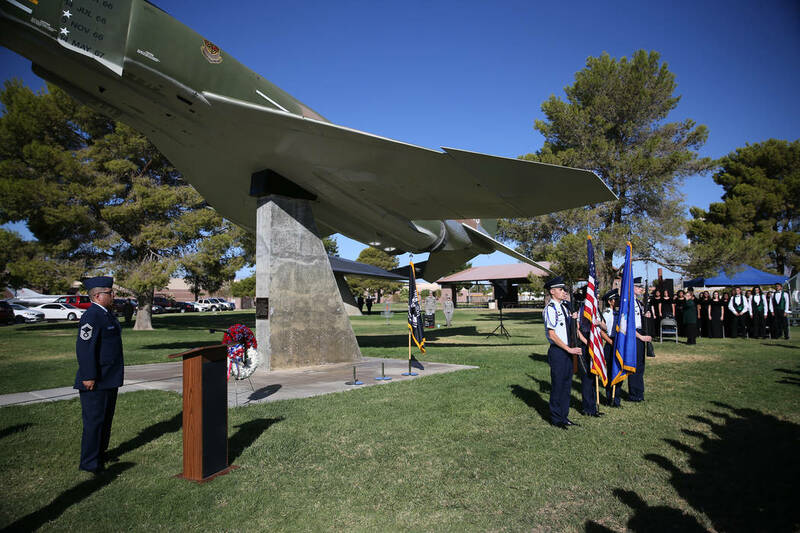 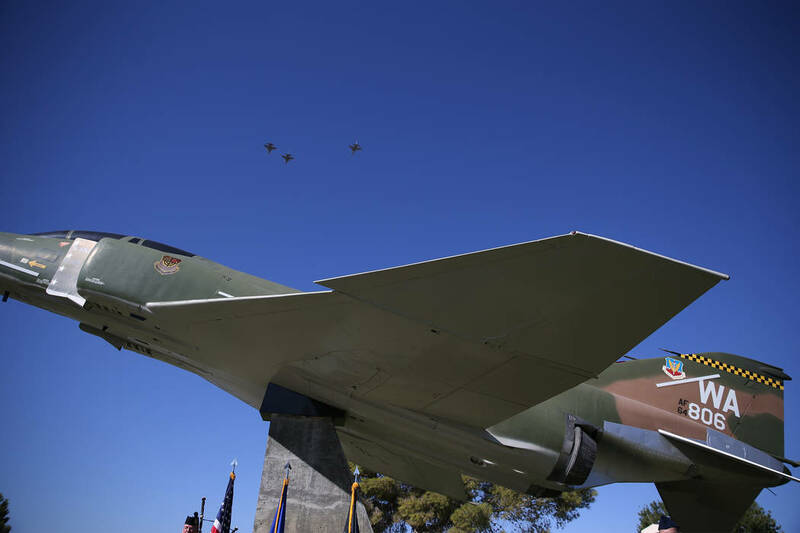 After the ceremony, Padgett, 86, a former electronic warfare officer who flew in a “Wild Weasel” aircraft equipped with radar-seeking missiles during the Vietnam War before he was shot down and captured, had a suggestion for organizers of next year’s ceremony.